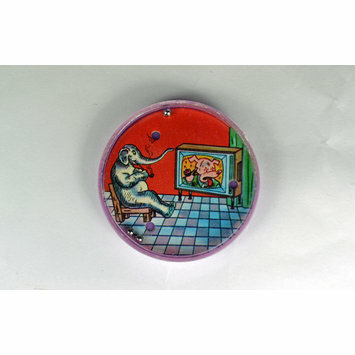 Circular bagatelle game consisting of a purple polystyrene back and clear polystyrene top, enclosing three small steel balls and a printed card scene with three circular holes. 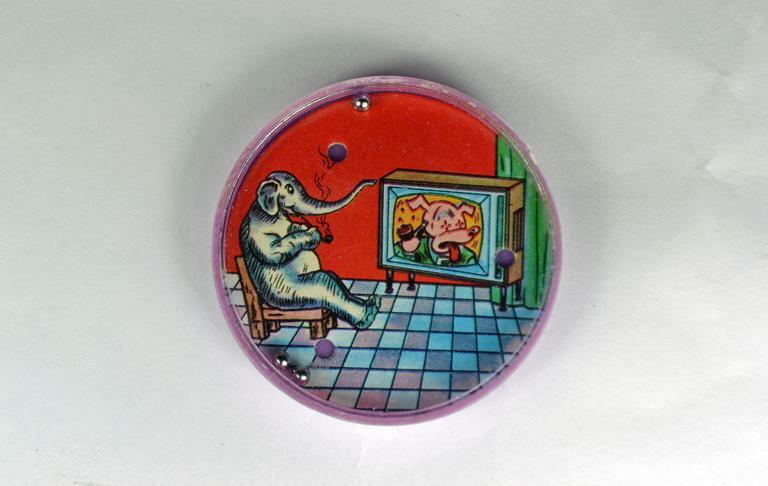 The scene shows a cartoon elephant sat on a low chair on a tiled floor, smoking a pipe and watching television. 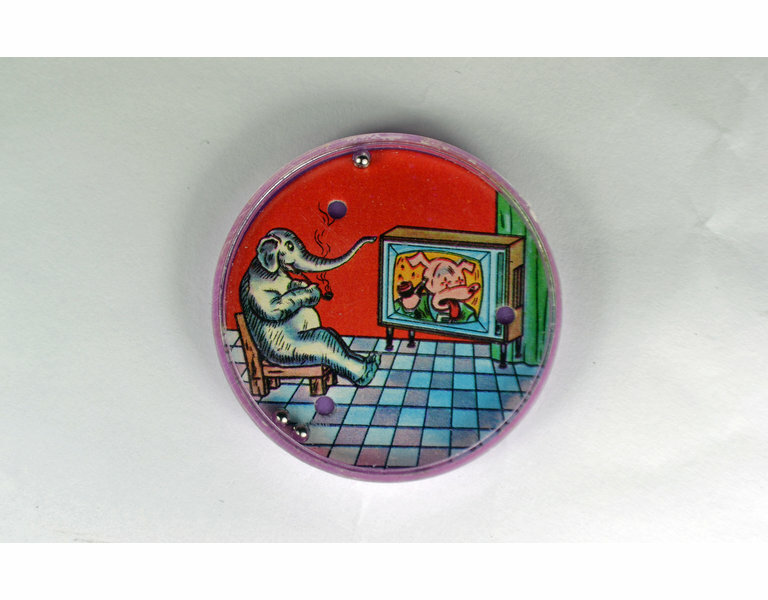 On the television is an image of a dog dressed in clothing, apparently also holding a pipe.